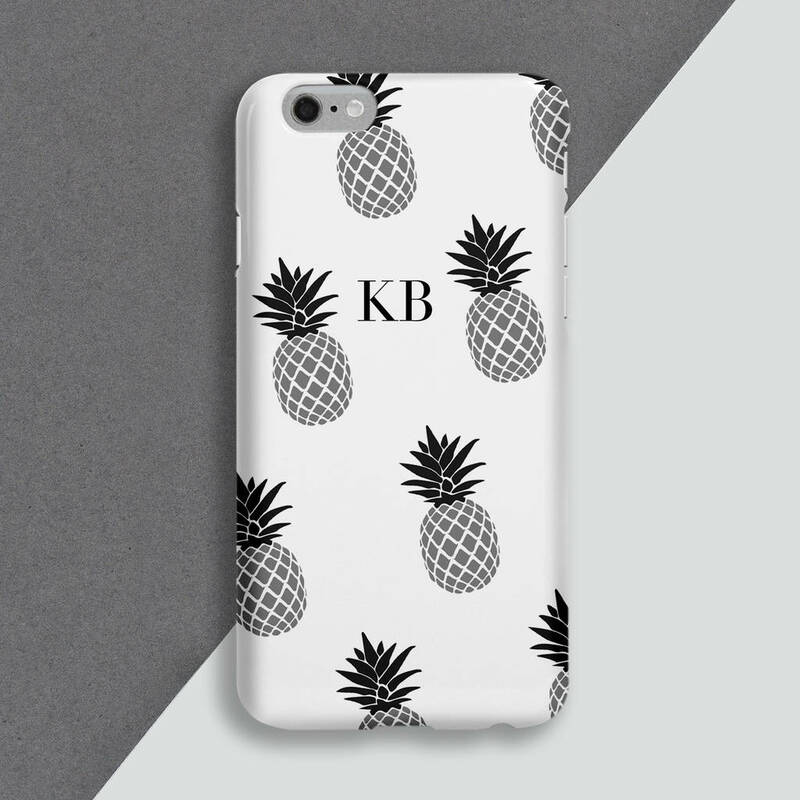 This printed pineapple personalised iphone cover is perfect 'on trend' accessory. 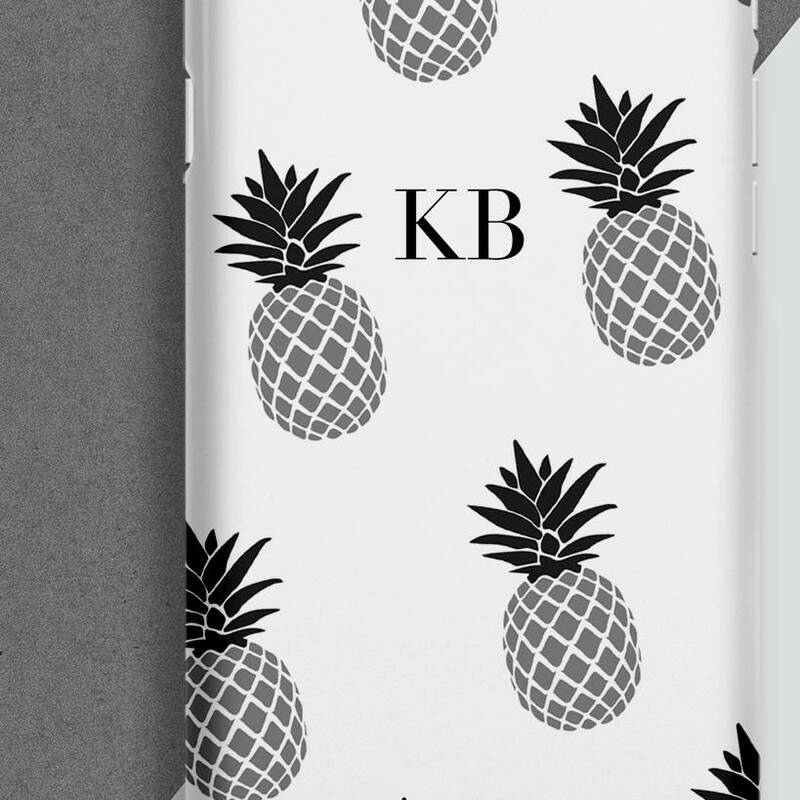 Printed on a pineapple background, the initials of the recipient are added in a bold font. The personalised phone cover makes a thoughtful gift for friends / family or why not just treat yourself? This high-quality 3D wraparound case is not only stylish but hard wearing too. The latest technology is used to print the design directly to the case - no stickers are used. The design will not fade, peel or rub off. Simply tell us the initials or the name you require from the drop down box opposite and we will do the rest. 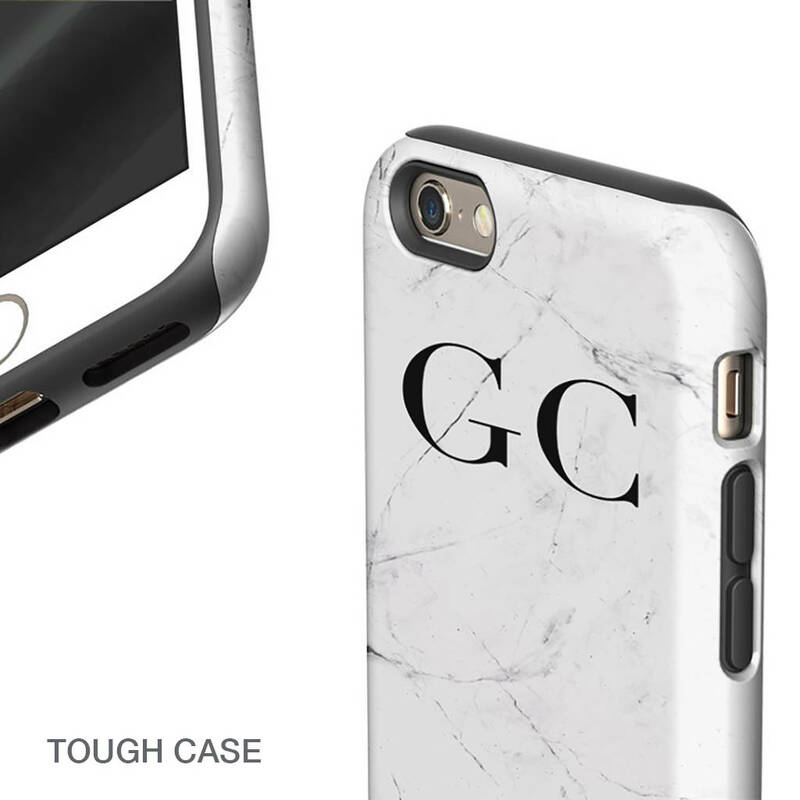 Our phone cases are hardwearing and will only crack if subjected to a drop or bang. 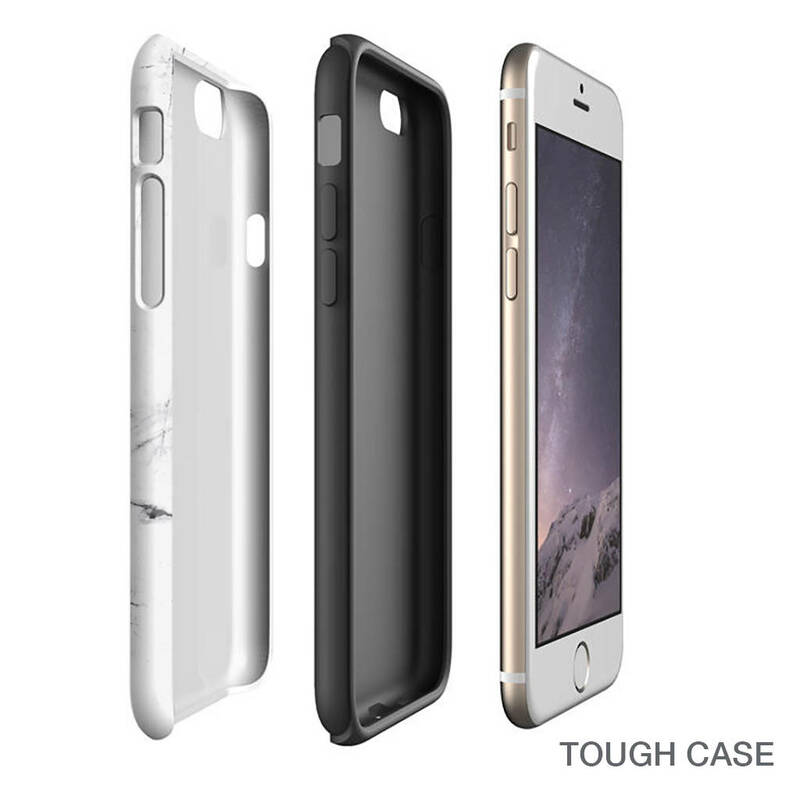 However, if you do feel you need extra protection for your phone why not add the 'tough' option? This offers a protective rubber inner that wraps around the front of your phone and if you are clumsy this is the perfect option.